Water treatment that’s effective…and CUTE! Most treatment facilities purify water by using chemicals that glob onto bad stuff. But this process isn’t perfect… if only someone could lend a hand… or a tentacle?! 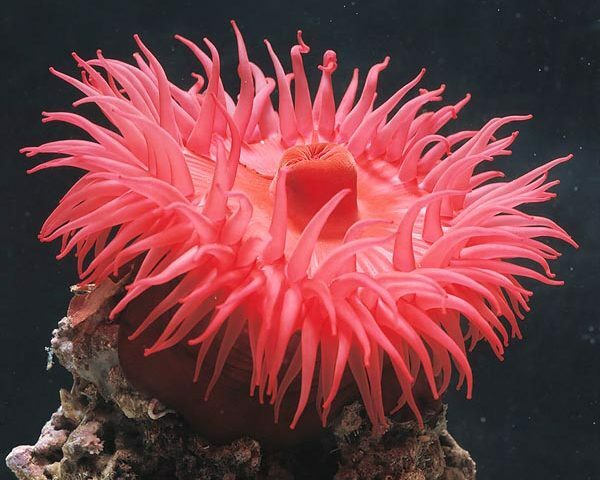 Introducing the sea anemone Actinia! It looks like a big, bright pink flower. And its tentacles act like HANDS to catch food. This critter gave Huazhang Zhao at Peking University an idea. His team developed a molecule that assembles into Actinia-like tentacles.. When exposed to wastewater, it opens like the sea creature and captures contaminants. What’s the… catch? There is none! This anemone-inspired molecule performed BETTER than chemicals used in treatment centers! It captured a wider range of pollutants, and did so far more efficiently. Their molecule consists of two parts: tentacles and a sticky body. The tentacles ensnare larger particles while the sticky core grabs smaller contaminants. The researchers think this could be great for recycling water in areas with little access to clean water. Now that is some clean-emone water!